Chipotle leadership is confident that the E. coli outbreak linked to food served at its restaurants in nine states is over and that its food safety problems are history. Chipotle CEO Steve Ells spoke at the ICR Investor Conference in Orlando, Fla. yesterday. “We are all very confident that this E. coli outbreak would not happen again,” he said. The outbreak, which has sickened 53 people in nine states, has not yet been declared over by the Centers for Disease Control and Prevention (CDC) which last issued an update on its investigation on December 21, 2015. But Ells thinks the agency will make and announcement soon and the company can move forward in the new year with a new food safety program that will ensure it never has another year like 2015. During 2015, the company was associated with two (or three) E.coli outbreaks, a Salmonella outbreak and two Norovirus outbreaks, one of which is the subject of a criminal probe being conducted by the U.S. Attorney’s Office for the Central District of California and the U.S. Food and Drug Administration’s (FDA’s) Office of Criminal Investigations. In addition to the well-publicized, nine-state E. coli o26 outbreak that sickened 53 people in October and early November, another cluster of illnesses caused by a different strain of E. coli O26 occurred in late November. That cluster includes five people in three states. At the time of the CDC’s last update, those cases were not considered part of the other E. coli O26 outbreak but could eventually get lumped in to one, two-strain outbreak. The third E. coli outbreak happened before the others and was not made public. It sickened five people in the Seattle area with E. coli O157:H7 during July. The food sources of the E. coli outbreaks were never identified, but Minnesota health officials did identify tomatoes as the source of the Salmonella outbreak that sickened 66 people in that state in August. After the nine-state E. coli outbreak, Chipotle hired IEH Laboratories and Consulting Group of Lake Forest Park, Wa. 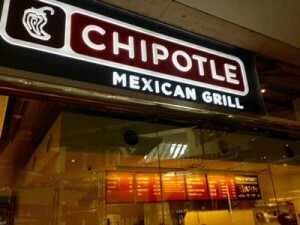 Some of the measures Chipotle’s new food safety program includes are: the use high-resolution testing on all fresh produce before it is shipped to restaurants and “end-of-shelf-life” testing where ingredient samples are tested to ensure they remain food safe throughout their shelf lives. The company has also changed some suppliers and food preparation procedures. The changes come too late for the hundreds who have been sickened, some of whom have filed lawsuits. Others who applauded the way the company handled the nine-state outbreak, may wonder why the earlier outbreak was not made public and what element of a seemingly run-of-the-mill norovirus outbreak in Simi Valley sparked a criminal investigation.